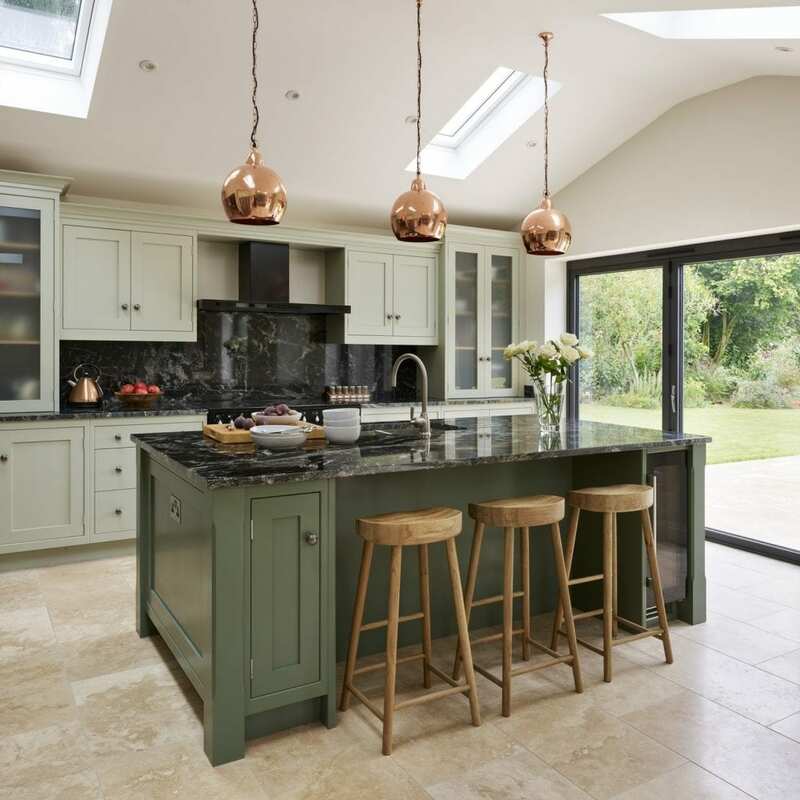 When Joanne’s parents invested in their Davonport kitchen a decade ago, Joanne fell in love with the stunning design and the reassuring quality of the furniture. “It was a beautiful custom-made design by Davonport, and I knew immediately I would love to have something similar in my own house,” explains Joanne. 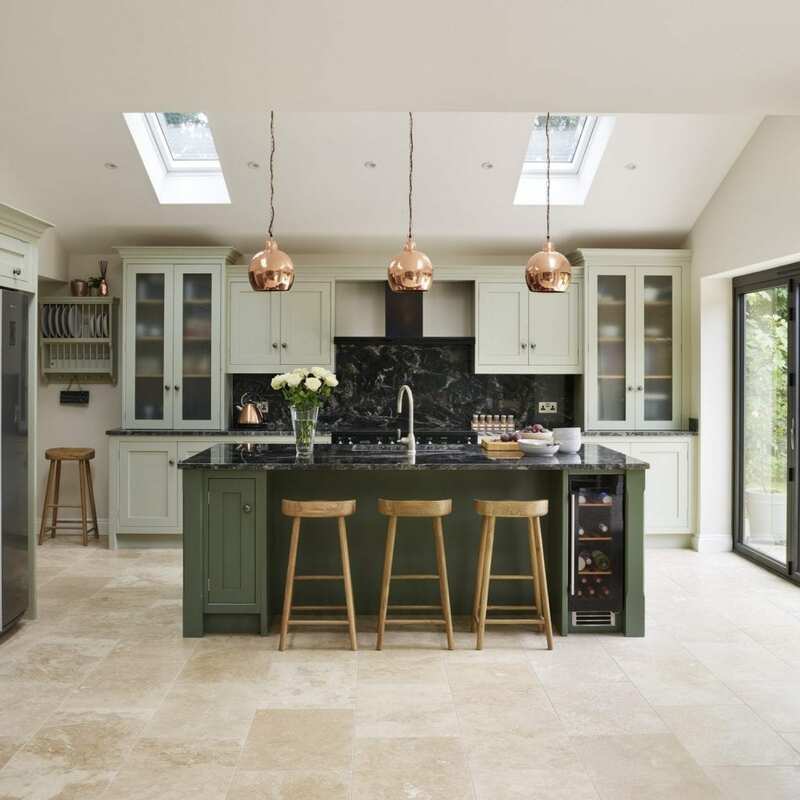 However, Joanne and her husband Stuart were planning to move to a new house and felt it was worth waiting until they were in their ‘forever home’ before pursuing their own luxury kitchen. Now with daughter, Rose, Joanne and Stuart moved into their 4-bedroom 1990’s built home in Manningtree, Essex a few years ago. 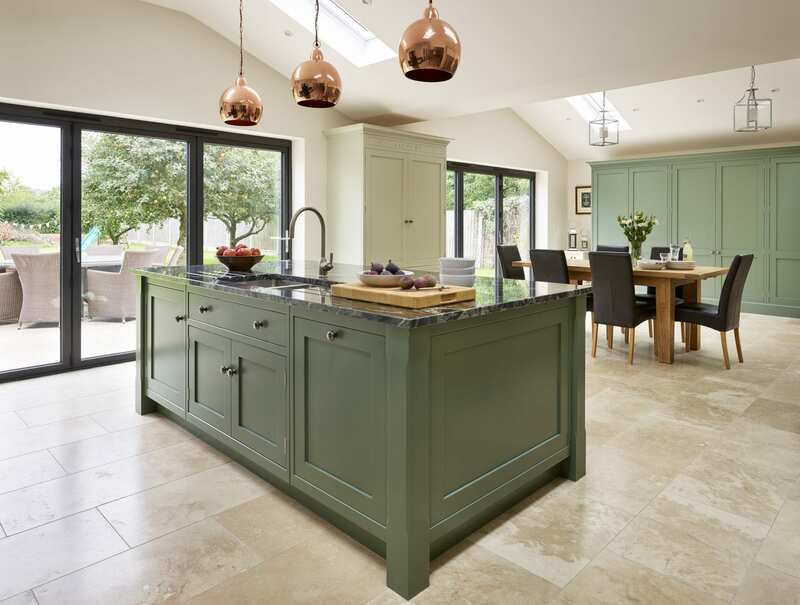 The kitchen was high on the ‘to do’ list but the space didn’t lend itself to creating a welcoming family kitchen. 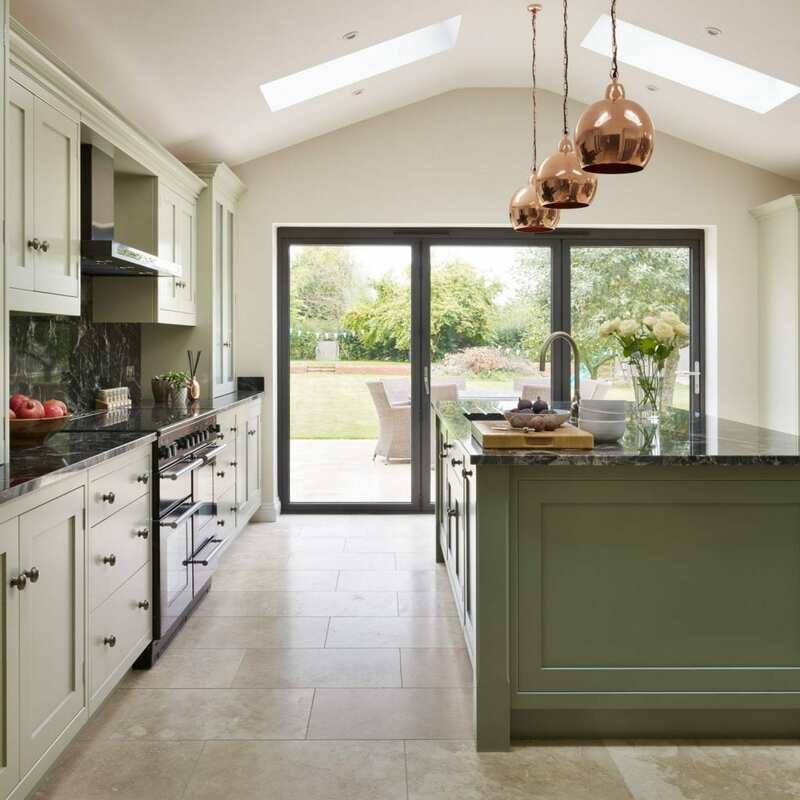 Joanne said, “The existing kitchen was dark, with a restrictive layout and we were always falling over each other,” so, Joanne and Stuart commissioned a single-storey rear extension across the full width of the house. 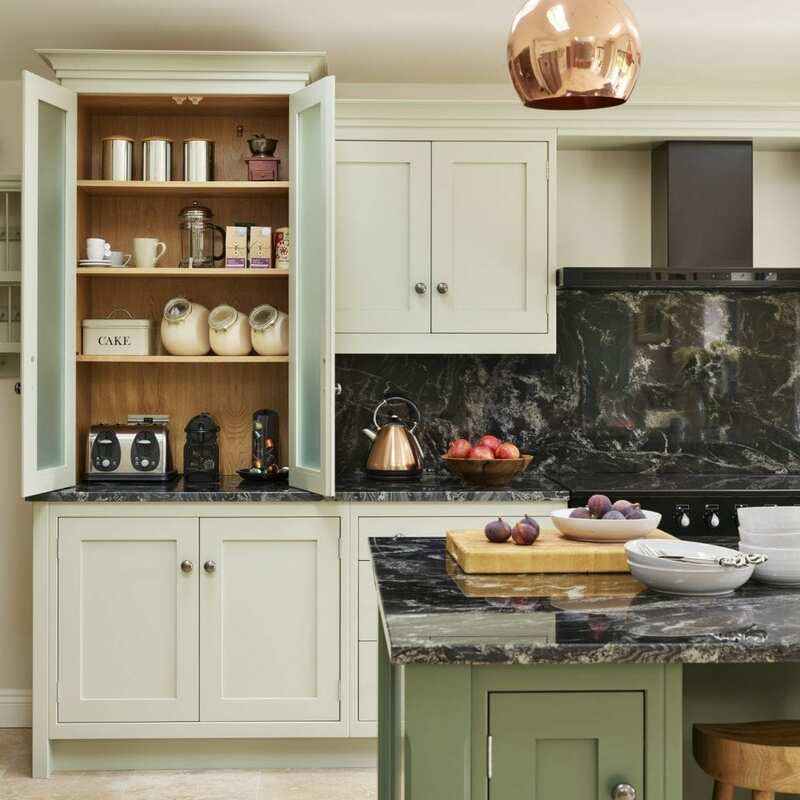 Joanne and Stuart’s new kitchen/diner features all you would expect as well as a sofa and a bank of bespoke cupboards at the opposite end of the room to the kitchen, used to store not only kitchenware but also an array of Rose’s books, toys and craft items. 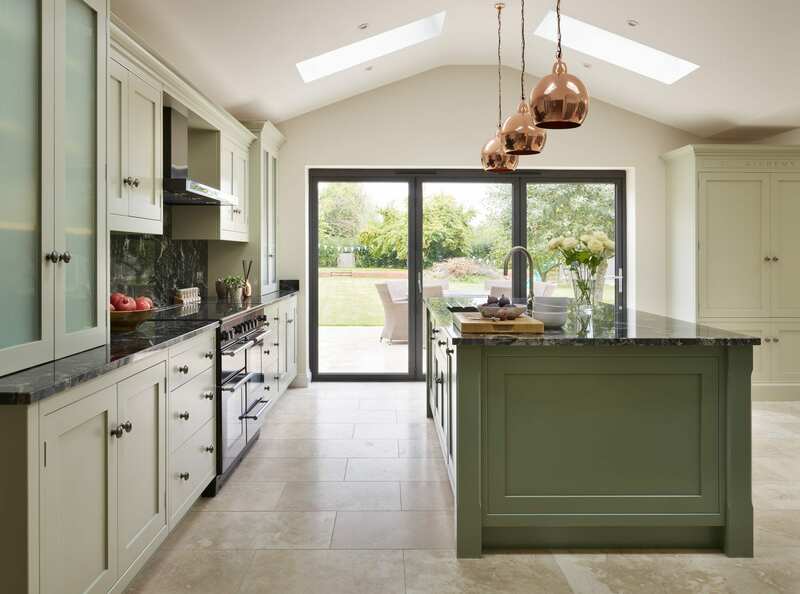 These tall cupboards, also created by Davonport, echo the style and colouring of the main kitchen, helping tie the large room together as one open-plan space. 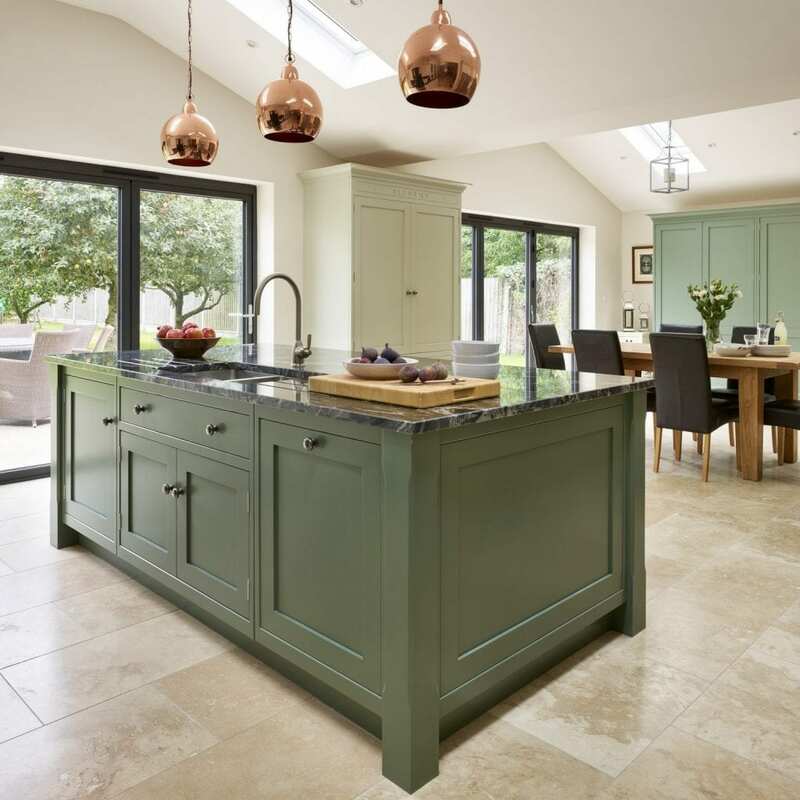 “The new kitchen has made entertaining so much easier. This is where we congregate as a family and when friends come over,” says Joanne. 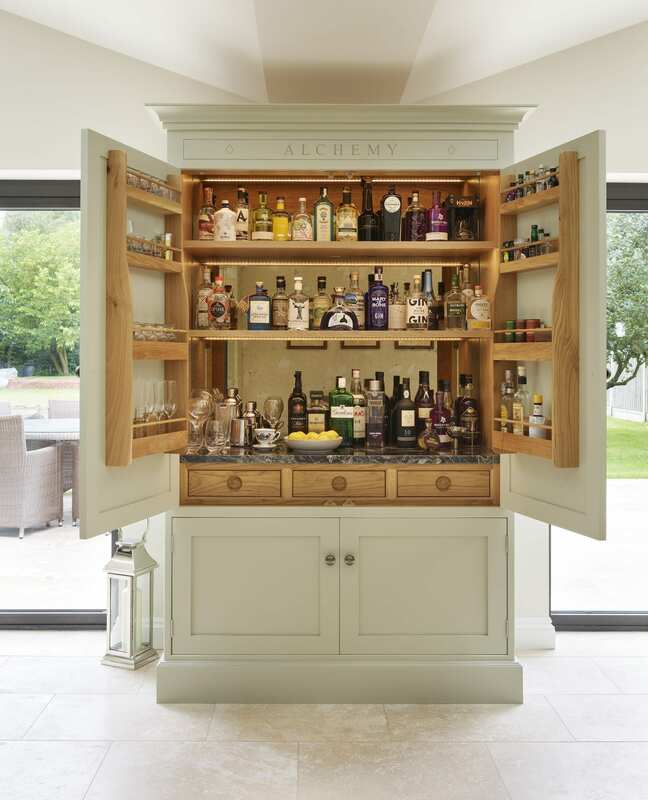 Integral to the sociable, entertaining aspect of their dream kitchen is the affectionately termed ‘alchemy’ drinks cupboard, also known by family and friends as the gin bar! 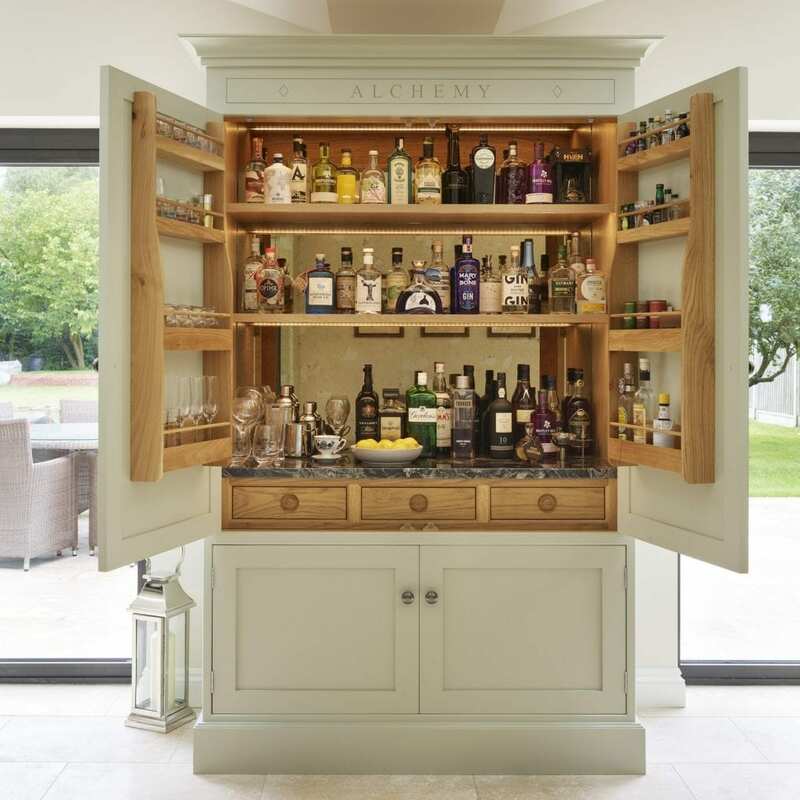 “Stuart is a gin connoisseur and now he has somewhere to display the bottles and prepare drinks. 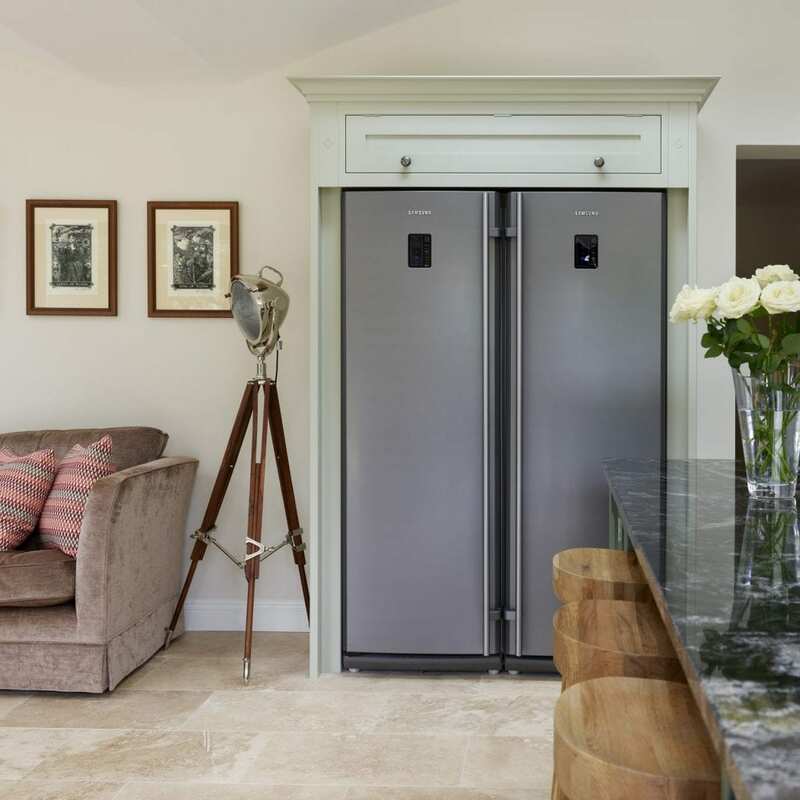 It’s a lovely feature in the room, and so much better than cramming the bottles on to a corner of worktop in the utility room,” laughs Joanne. We visited Joanne six months after completion of her kitchen project to discuss how she, Stuart and Rose now enjoy the space and the impact it’s had on family life, visit our blog to find out more.